Want to cuddle with Amanda G.? I’m so happy YOU are here! Very likely if you’ve found me here, you understand the vital importance of authentic connection and nurturing touch for our personal well-being. I congratulate you for taking this powerful step towards increased connection and self-discovery! What joy it brings me to be a part of your process! I am nurturing by nature, and will bring to each of our sessions an openness towards meeting you exactly where you are, and how you are. Using gentle guidance and empathic listening, together we will co-create a session that is perfectly tailored to your needs. For some this may mean we jump right into cuddling during the first session. For others, we may spend the first several sessions talking with minimal or no touch involved. Each of these scenarios are perfect—what’s important here is that you feel seen and valued. *giving you a time and space to let go and be taken care of. This is self-care, pure and simple. *helping you develop or redevelop your own sense of being nurturing towards others. Connection goes both ways. Our society oftentimes doesn’t place value on slowing down and connecting. Together we can change this. *enhancing your ability to create and enforce your own boundaries. Learning how to be in your authentic “yes” and “no” will add limitless value to your personal and professional life. This is possible! *allowing you to be truly seen and heard. Whatever is present in you, whatever areas you need to talk about, or emotions you need to express—it is ALL welcome here! *anything else you feel is important! The possibilities for our time together are endless! Let me know what you’re thinking! Session information from Amanda G.
Location: I am now booking in-calls and out-calls, including video/phone sessions! We can set up a time for you to come to my location, or we can meet at your home, a park, or any other public location. I am also available to travel longer distances provided travel expenses are covered. Video/phone sessions can happen at any time! These sessions will offer the same level of connectedness as in-person sessions, minus the opportunity for physical touch. Out-calls have a $20 travel fee included. Travel fees for clients with disabilities are always waived. Screening: Once you request a session, I will give you a call or send you a text within 24 hours. This is our opportunity to ask each other questions and see if we’re a good match. * From there we can determine a time and a location that works for both of us. Please note, I will ask for a photo of your ID before formally booking your session. 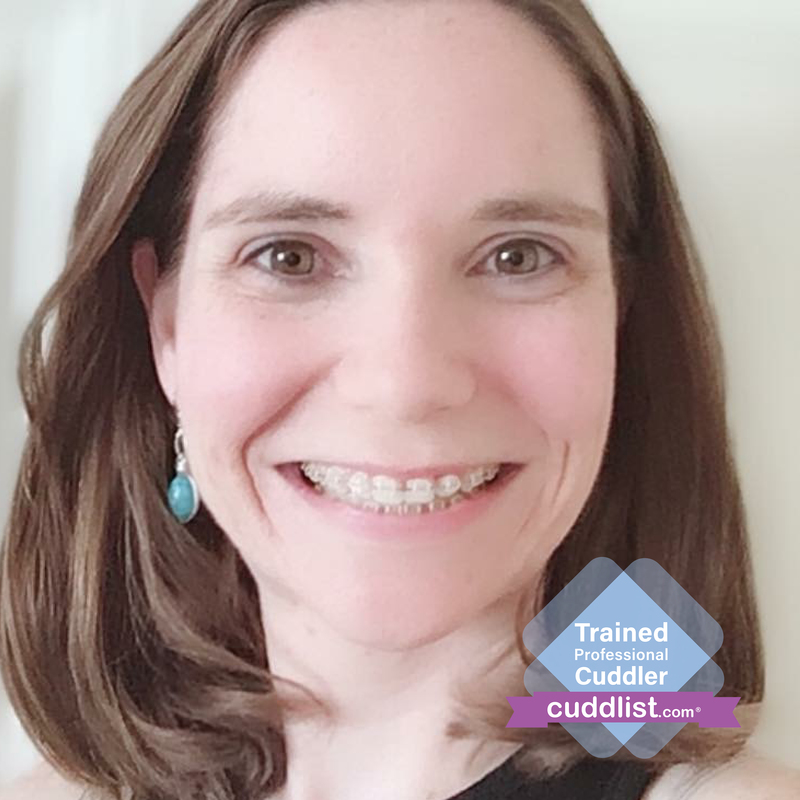 During the Session: Each of our sessions will begin with reviewing the Cuddlist Code of Conduct and checking in with one another. After the Session: After your initial session I will check in the next day through either a phone call or a text. I want to hear about your experience and answer any questions that may have come up. Cancellation Policy: If you cancel before 24 hours, we will arrange another time within one-week and rebook. If you cancel within 24 hours, full session payment is due. *I am very happy to offer referrals to other local Cuddlists if I believe you would be better served by someone else’s skill set.